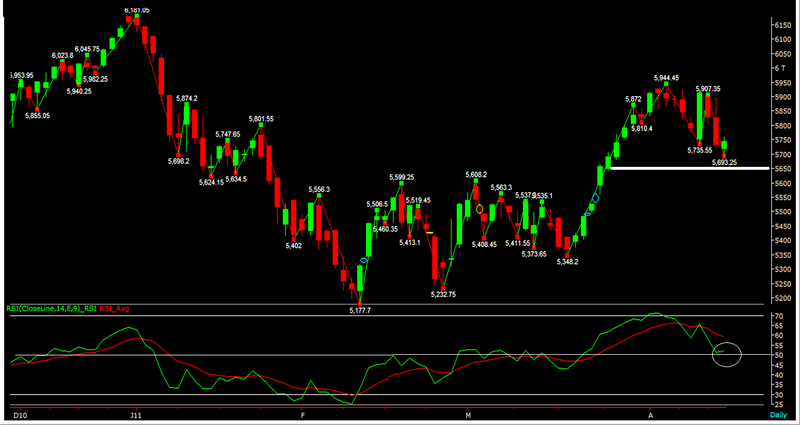 Nifty Daily Chart: A little more and we would be done. We are moving towards the lower part of the target that we have set last Sunday. We are not holding any position nor on intraday basis. I am sorry for the delay and non regular updates. It would be in line from tomorrow. As I was on a vacation, had lot of things to be completed. Thank you for your patience and whole hearted support.